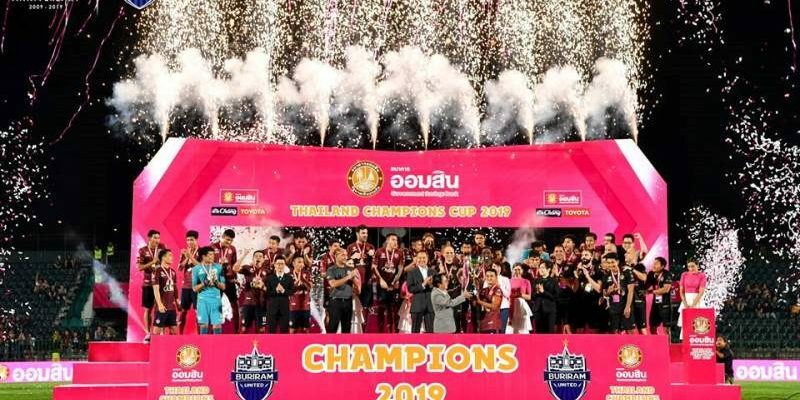 BURIRAM (4 Feb 2019) – A double from Supachai Chaided gave Buriram United their first silverware of the season when they beat Chiang Rai United 3-1 at the Thai Army Sports Stadium to lift the Thailand Champions Cup. Buriram United were the 2018 Thai League 1 champions while Chiang Rai United won the 2018 FA Cup and League Cup. Brazilian defender Brinner had given Chiang Rai the lead after just two minutes. But Supachai replied with two goals just before the break to give Buriram the 2-1 lead going into the break. Buriram new signing Modibo Maiga of Mali then made sure of Buriram the Cup with the third goal with three minutes remaining as Chiang Rai then played with 10 men following the second yellow card on Brazilian defender Andres Tunez.